Inner Join will return common records appearing in tables. 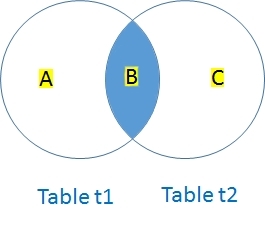 Inner Join requires two tables to be joined by linking with ON condition. We can add more condition by using WHERE clause. The common records between two tables will be returned. We will use inner join to list out students who have paid fees. You can download SQL Dump of these two tables ( with other tables) here. Your Website is Very Helpful for programmers like us, The way of giving examples was superb. Thanks a lot, i got the complete idea of Inner join. Thanks i got the complete idea of Inner join. thank you plus2net. Its very helpful. Examples shown here are live one. Thanks.....i got the complete idea of Limits.Examples shown here are live one. This is a brilliant way to explain,But I have a question.What is the difference between INNER and SELF Join? Can you tell me differnce between self join, equi join and inner join? Thank you,Good explanation with example. I am use this site 3to 5 times in every week.